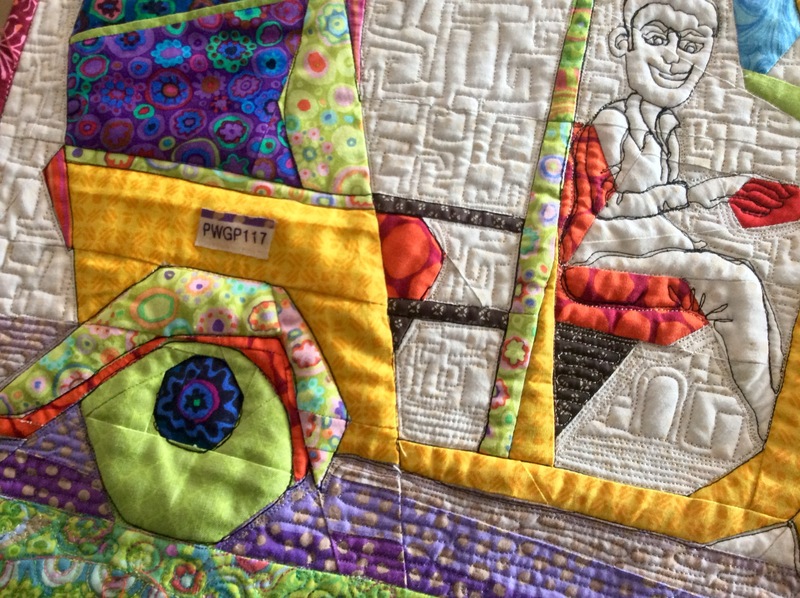 Finally it can be revealed…the foundation paper pieced autorickshaw I made for a visiting quilter friend! 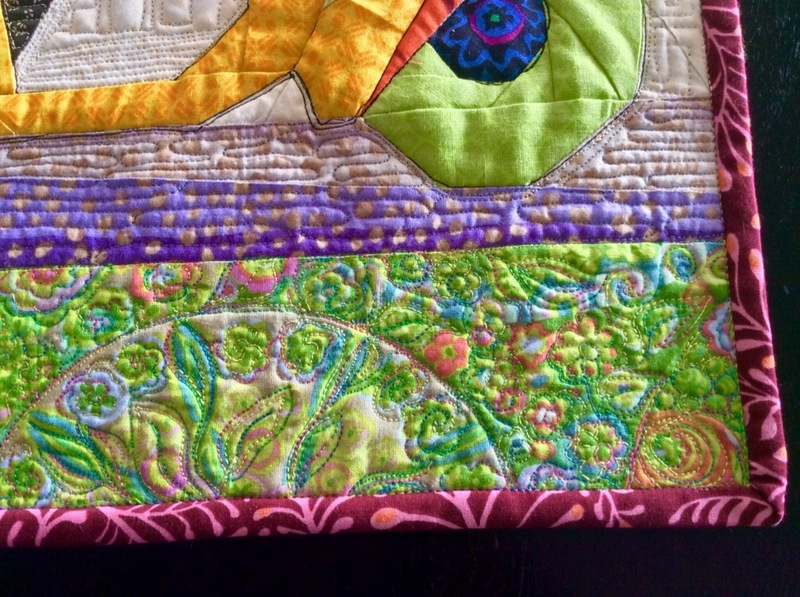 I used my friend’s favourite Kaffe Fasset fabrics for this little 18″ x 18″ quilted wall hanging. 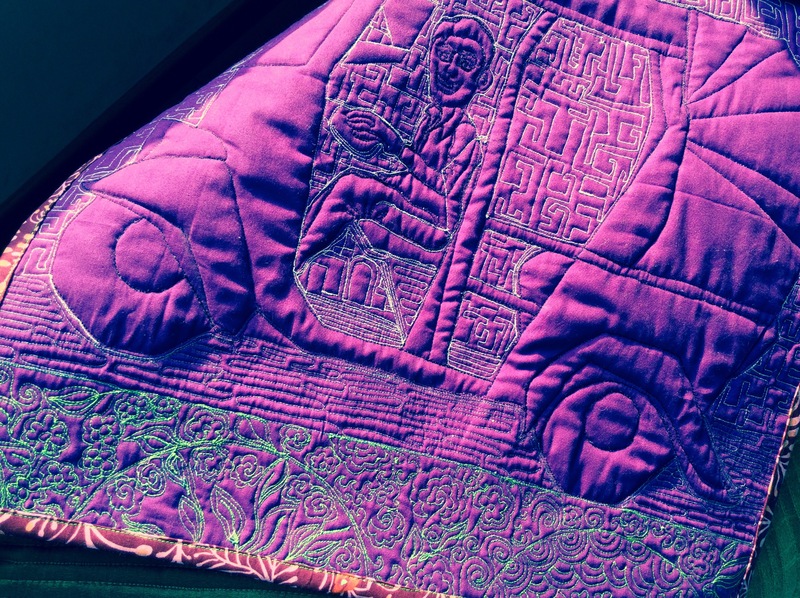 The Purple Autorickshaw – the quilting from the back. 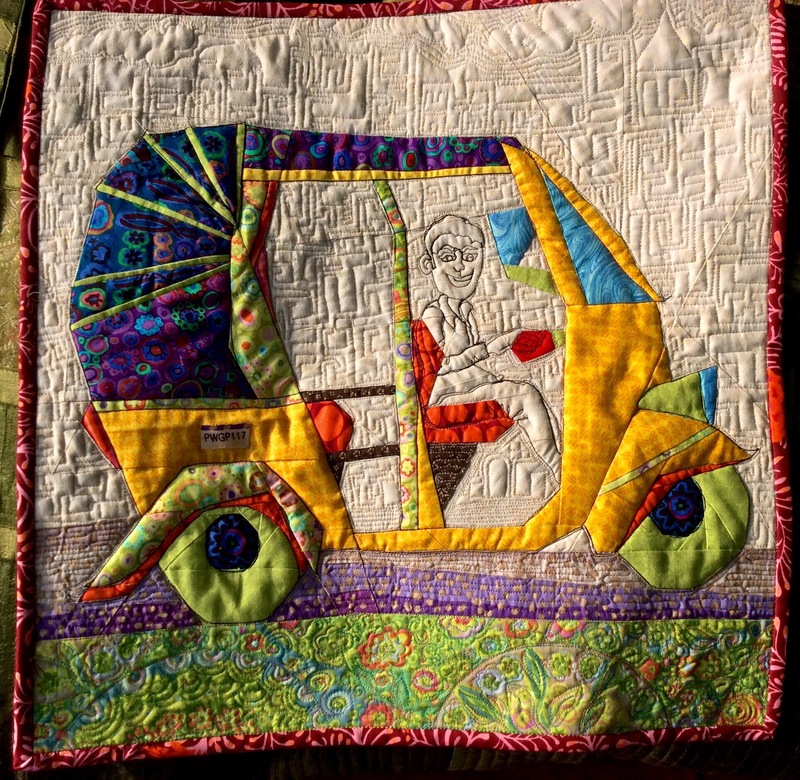 The Purple Autorickshaw – foundation paper pieced! 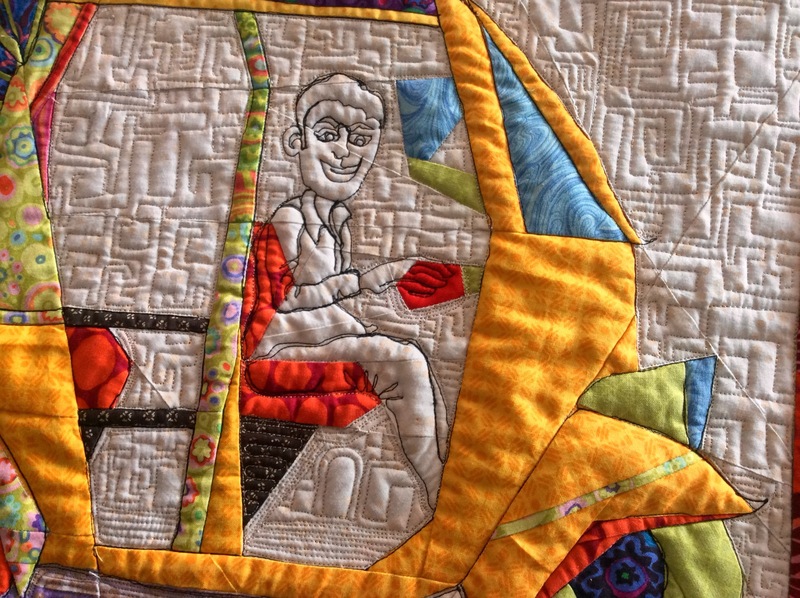 The driver was an afterthought, as I thought the empty autorickshaw looked abandoned and a bit forlorn! 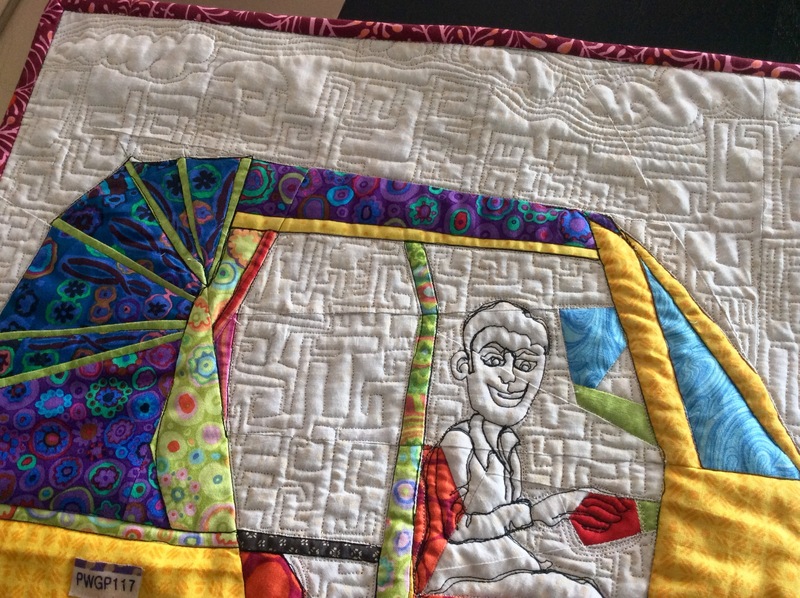 The cheeky looking auto driver is modeled after a free online image. A closer look at the back! 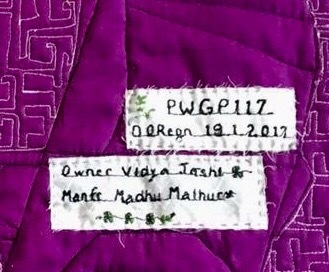 Do not miss the registration number ( from the fabric selvedge)! The label! Like real autorickshaw s, it carries the date of ‘registration’, the ‘owner’s name’ and the name of the ‘manufacturer’ too! 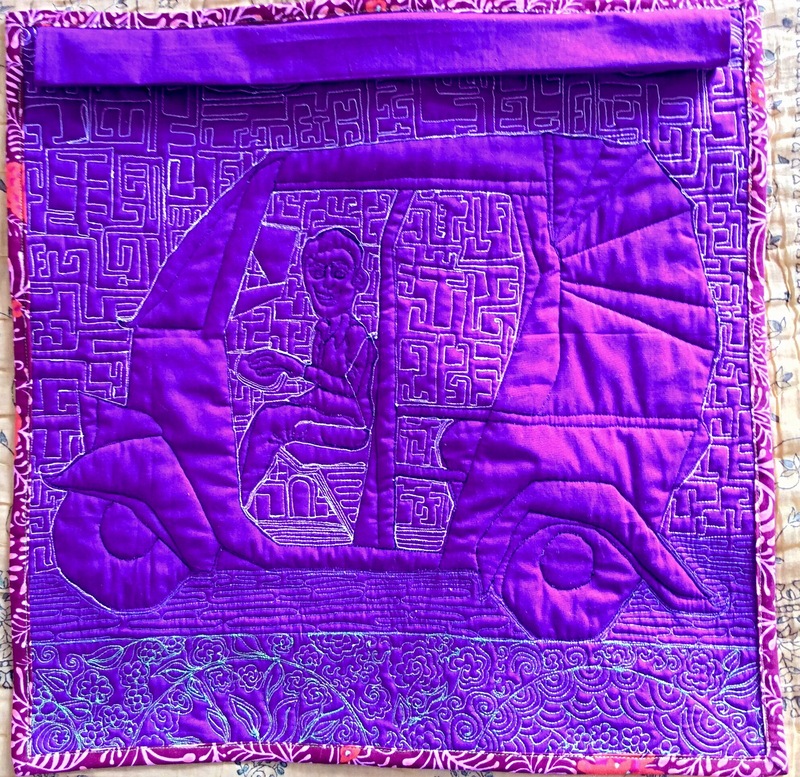 As you can probably see, I had a lot of fun making this little purple and green autorickshaw, but the best fun was the expression on my friend’s face when she read the owner’s name on the label!